Why neutral wire connected to load wire? I opened switch box in the basement that has two switches: one for basement and other 3way switch for stairs. I wonder why white wire thet usually neutral connected to black wire that goes to another connection woth load wire. It's not neutral. Neutral wires must be white, but not the other way round. A white wire can be hot if it's in cable. So think about the meaning of this. If you see a bundle wire-nutted together, and even one wire is non-white, what does it mean about the whites in that bundle? It means they cannot possibly be neutral. They are hot. "Hot" includes always-hot, switched-hot and 3-way travelers. Here is how a 3-way switch works, electrically. The physical positions may change, and the colors will alway change, but electrically if you unwrap it, it looks like this everytime. ... That wasn't so bad, was it? I love this drawing because it makes sense. Current travels in loops, and you can see very quickly what's really going on. Eother the switches line up, or they don't. Of course, when you turn your gaze to the morass in that electrical box, not so pretty. It can be prettier. 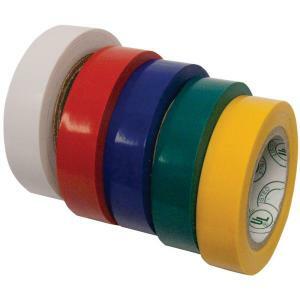 They make colored electrical tape, a 5-pack for $4. And I recommend re-marking wires in the box, particularly travelers, using that tape. First rule of tape marking: mark both ends of the wire the same. It really makes life easier, and it's one of the easiest things a less experienced person can do to make comprehension easier and reduce mistakes. I'm a stickler for it just because I don't have time to puzzle out wire functions everytime I open a box. It is now the law that you must mark white wires black or a color when you make them a hot. So identify both travelers on both 3-way switches and mark them with yellow tape. On a 3-way switch, the travelers are on the brass screws.. That is the key to wiring a 3-way switch. Every switch jumbles around the positions, but the screw colors are true. I would wrap that white wire from the far-right cable with black electrical tape (with the breaker off, of course!) to avoid future confusion. Not the answer you're looking for? Browse other questions tagged electrical wiring switch wire or ask your own question. How can I install this programmable switch? 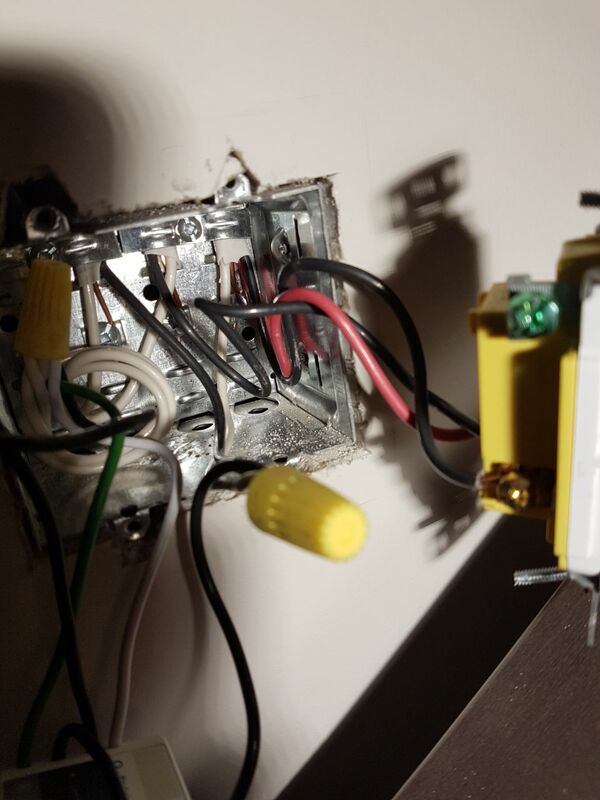 Strange light switch wiring… why would neutral and hot be connected? Can a white neutral wire be used as a three pole traveler wire? Why is there no neutral in a switch box? Why is this shared-neutral wiring bad? 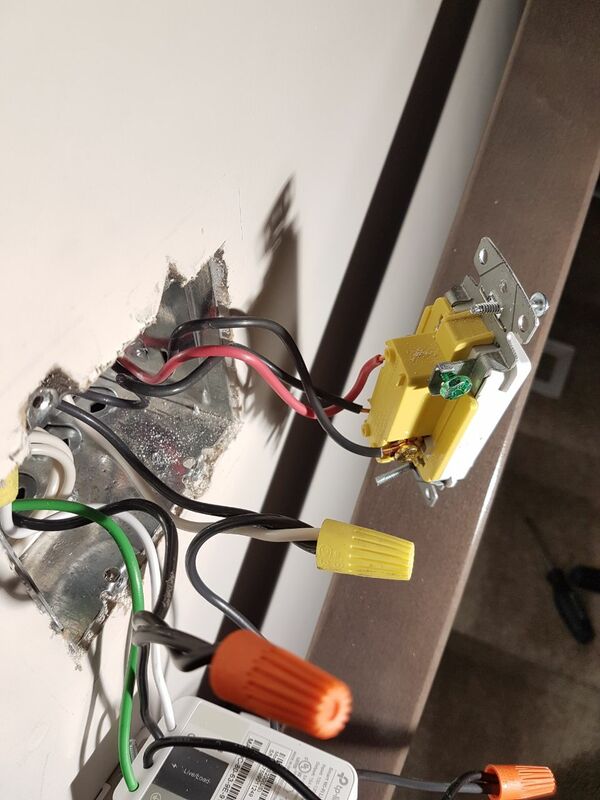 switch box red wire connected to white?